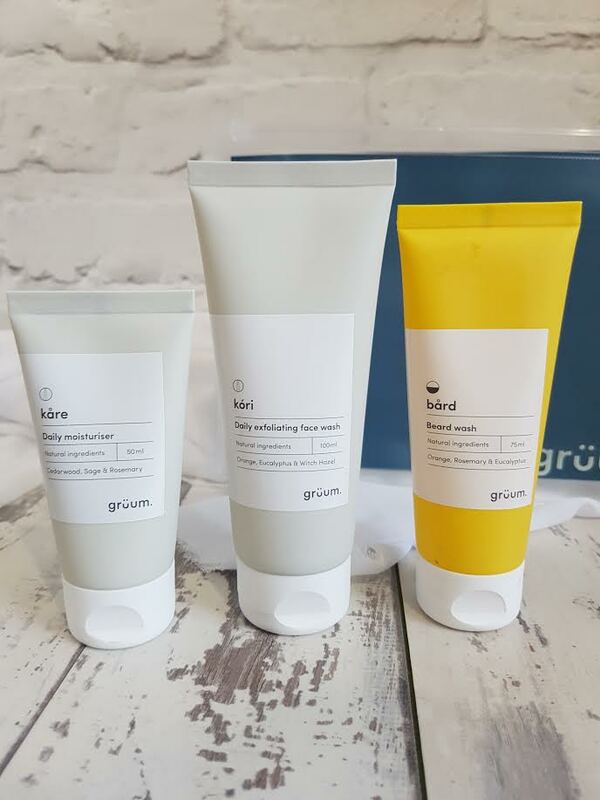 As the colder days seem to be past us now it's quite likely that our skin is in need of some TLC. I know for certain that my skin has taken a battering from the awful winter chill so it has never been as important as it is now for me to have a set of good male grooming products in my life. Over the winter most of my days have been spent outside working, and my face is the only part of my body which hasn't been wrapped up from the often terrible weather. a tee shirt, jumper, fleece, wooly hat and gloves have formed my uniform most days. Definitely not the most fashionable attire but it helps to keep me nice and cosy. I'm not a fan of the cold at all and I don't think I will ever get used to being outside for hours in horrible weather conditions - by now, after doing a similar style job for sixteen years, you would think I would be more than comfortable with it, but I'm really not. If you have read my blog before or if follow me on on any of my social media channels (if not, why not?) then I bet you are thinking that there's no way I should be moaning about my face getting cold when there's only about 30% of it not covered in hair. No, I'm not Teen Wolf before you ask, I just have a really good, thick beard and an even better mop on top of my head. And so, when it comes to choosing my skincare I really need to remember this hair and find something which is beard friendly. But back to the cold - I don't know about you but my skin becomes really dry in the colder weather - my beard goes really brittle too and as well as not being ideal for me it also gets me in the bad books at home because the hair just falls out everywhere which the wife isn't impressed with. So to try and eliminate these factors let me tell you what I have been using recently. I'm not a big fan of mixing products and I like using things which are from the same brand at the same time and the range I was sent recently from grüum has been perfect for this. 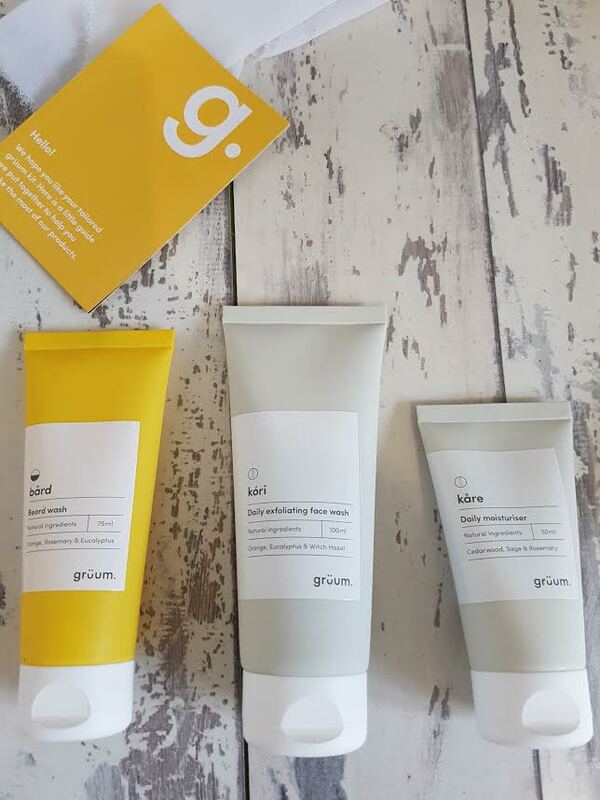 grüum state that they are "every man's alternative to the overpriced, underwhelming high street grooming brands" and they have a very minimalist Scandinavian design which definitely stands out, as does their philosophy to supply the modern day man with all of his grooming product needs for a fraction of what would normally be paid. Sounds good, but what about the products themselves? 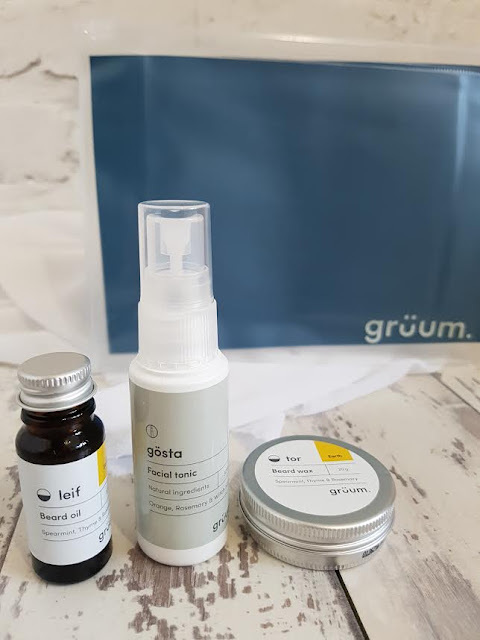 I have been looking particularly at a beard maintenance gift set that I was kindly sent which contains a beard wash, an oil, a wax, as well as a face wash, a moisturiser and facial tonic. 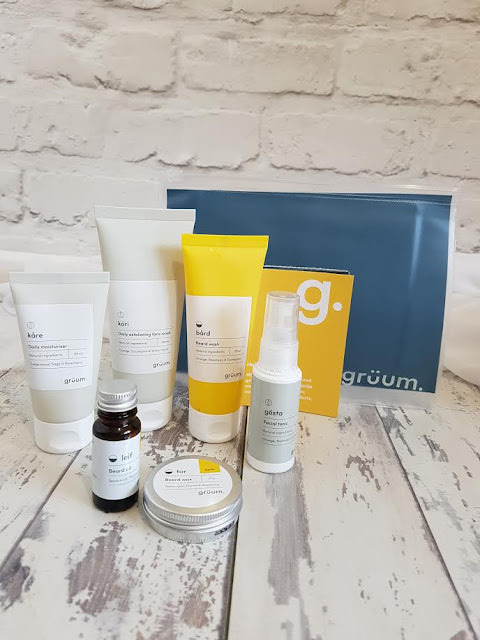 But this set by grüum, I'm a massive fan of because the products have kept my skin well hydrated, looking fresh and feeling really soft. The face wash and moistuirser really complement each other and for myself, there is no better feeling after a hard days work in awful, cold conditions, covered in all sorts of filth and grease, than getting a nice warm bath and pampering myself with some really refreshing products. The eucalyptus in the face wash is extremely refreshing and never fails to wake me up when I've used it early in the morning and because I'm normally up for work between 5am and 6am I love this as I need all the help I can get - it's an essential for me. It also exfoliates really well, removing horrible dead skin cells and dirt, which is never a bad thing and I feel like a new man once I've leathered it on. The wash is really nice and light and the moisturiser absorbs fast into the skin, both smell really great too. But as with a lot of mosturisers, I've found my face can often look quite shiny after I use them and this is where the facial tonic works it's wonders for me. It can also be used after shaving to help the skin heal but I will never get to try this side of it out because the beard is here to stay. Just like the face wash, the beard wash is really refreshing which is down to the mixture of eucalyptus and orange within it which also helps give it a lovely, very sweet smelling aroma when it is being used. After using all of these products I've noticed, almost immediatly, that my beard has really softened up and is looking really well and I have to say that I think it even looks a lot thicker too - that beard wash is one of my favorite products from the bunch for this very reason. 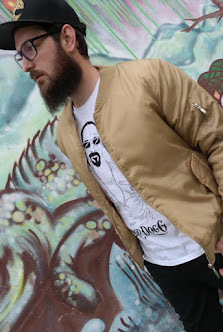 Both the beard oil and wax have really helped me bring a little shape to my beard once it is clean - I don't use these daily for work or anything but if I'm going out for the day I will use them both together as the make a great little combination. They are subtly scented with blends of spearmint, thyme and rosemary and none of them are really overpowering either which I like - in the past I have found that a really over powering scent on the beard can get really annoying and, put simply, will really get up my nose all day. I've hated this so much in the past that I've actually had to wash the products off half-way through the day just because the scent was too much. 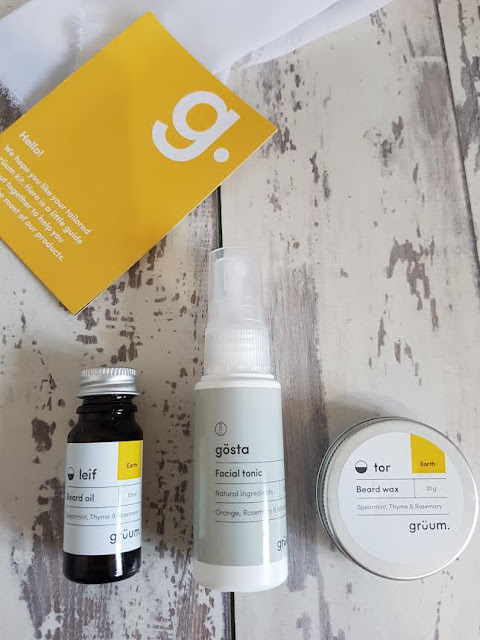 This gift set has everything I could want for all of my grooming needs and I know I will definitely run out of it all really quickly because I use it that often. 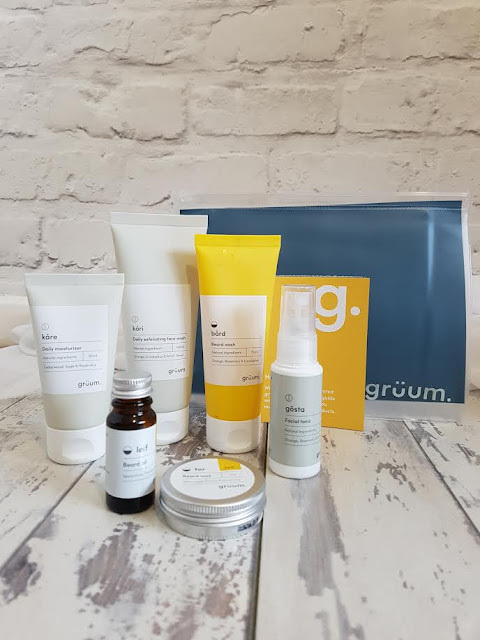 So go check out grüum and don't worry if you don't have a beard and you don't need a grooming kit for it, they have a few different gift sets tailored to many individual needs and tastes. 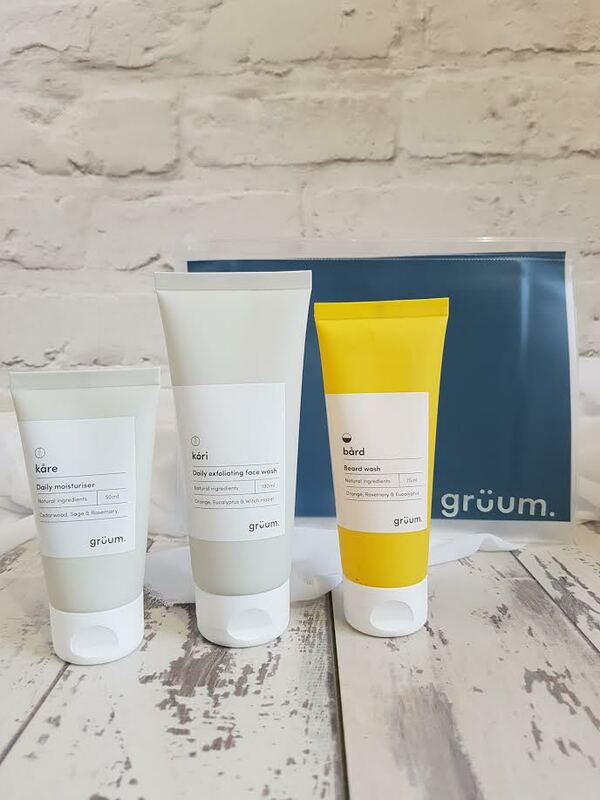 No one is left out by grüum.